Cars of Kentucky, family owned and family driven! For additional photos visit www.CarsofKentucky.com. 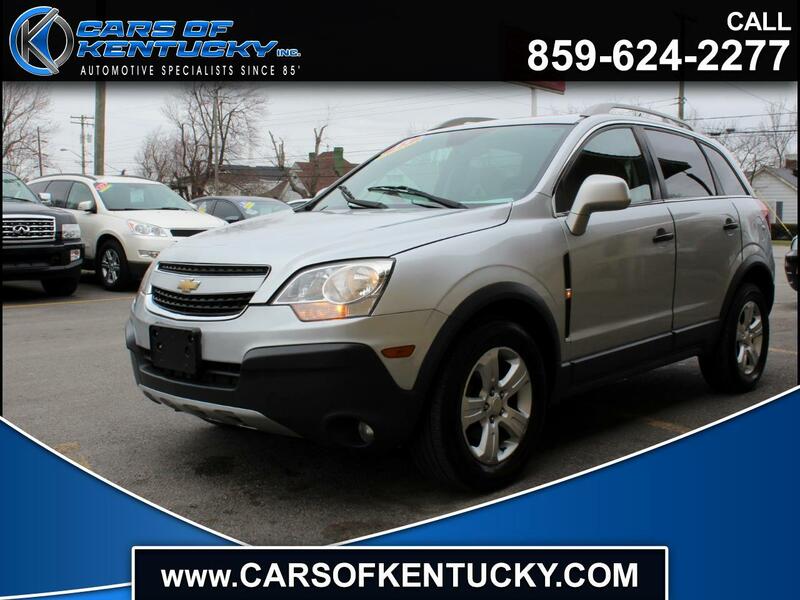 Stop by or call us today (859) 624.2277 and see the difference family owned and family driven makes at Cars of Kentucky! Message: Thought you might be interested in this 2013 Chevrolet Captiva Sport. ***90 DAY POWER TRAIN WARRANTY INCLUDED ON MOST VEHICLES UNDER 200K MILES AND LESS THAN 20 YEARS OLD IF RETAIL PRICE PAID. **some vehicles do not apply, please ask sales associate for details. WHY ARE OUR PRICES SO LOW???? Our purchasing department has the latest technology that gives us the ability to do extensive market research to find out what similar vehicles are being sold for in our market AND within 500 miles of our market.Then we price our vehicles to be the best value available. This is why people travel so far to buy our vehicles!! By using this price system, we assure each of our customers the best price. We DO NOT inflate our prices in the hopes of winning a negotiating contest with our customers!! We DO NOT play pricing games! With over 32 years of being in business, we realize that value pricing is by far the best approach for our customers.